The KnowledgeLab is open in Seelye B4! Closed state and college holidays, Mountain Day. The Smith College Libraries KnowledgeLab is an experimental pilot space for making knowledge, sharing knowledge, and playing with library futures. As a campus, we have been engaged in a conversation about the past, present and future of libraries in the context of planning for the New Neilson Library. What does it mean to create and share knowledge with diverse communities, and what role does campus space play in these practices? How can we experiment and play with space in the library’s current form, and how can these experiments inform the design of our new library? We have mini-grants of up to $1000 available to students to create projects in Smith College Libraries spaces. 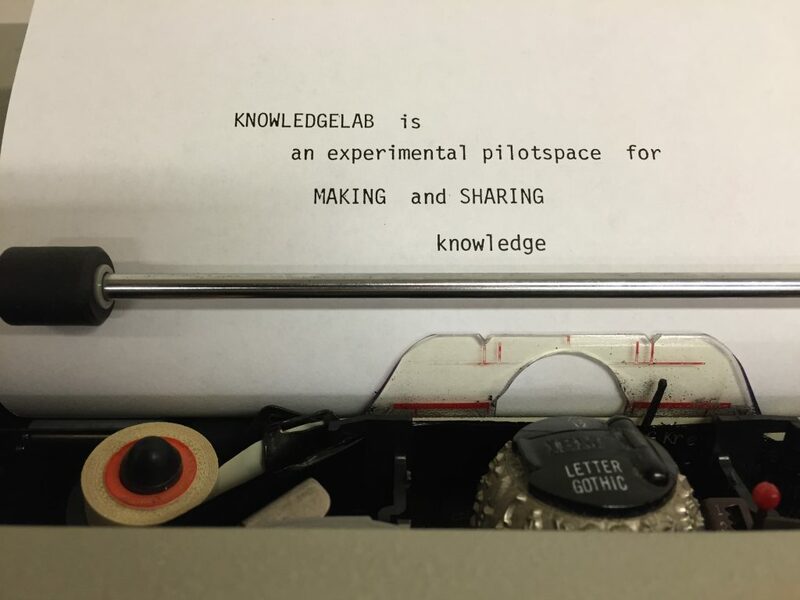 The KnowledgeLab is an experimental, participatory space for you to engage with these questions. We invite proposals for projects by all current Smith students, faculty, classes, and student orgs on the themes of knowledge creation, knowledge sharing, and the future of libraries and campus learning spaces, including pop-up installations, events, and more. Find out more on our Propose a Project page. For examples of projects that have taken place as part of the KnowledgeLab, see our Past Projects page. KnowledgeLab is interpretive, experiential, and generative in character, offering a range of media and materials for the Smith community to interact with as we design new ways of conceptualizing and engaging with the library and all things related to books, the technology of reading and writing, and the creation of knowledge. The KnowledgeLab is located in Seelye B4.